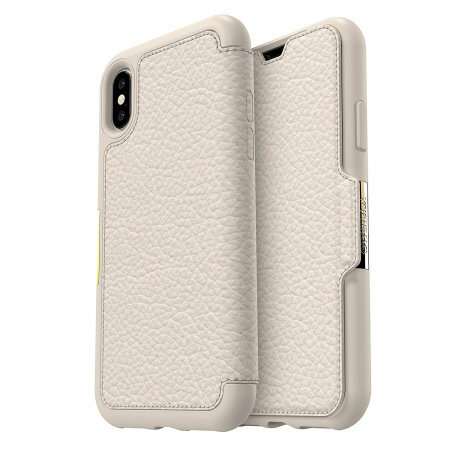 A sophisticated lightweight genuine leather case, the OtterBox Strada wallet cover in opal offers perfect protection for your iPhone XS, as well as featuring slots for your cards, cash and documents. This phone case is of very good quality leather and a lovely feel and colour. Would strongly recommend this. ??? ?